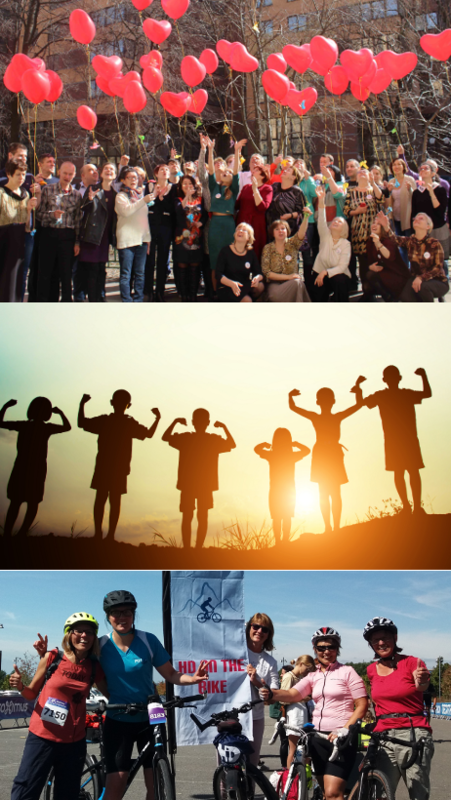 In the autumn of 2016 «Stronger Together» was launched by the European Huntington Association (EHA). The project’s main objective is to build a bridge between research and Huntington families. This is done through collaboration. By connecting and establish associations in Europe, they make up an important network of Huntingtonians – people affected by Huntington’s disease. EHA constantly works to enhance the collaboration between them. In addition, EHA encourage researchers to work together. Stronger Together further aims to improve the collaboration between researchers and family members. This partnership was especially enhanced in 2017, when a global coalition was established: the Huntington’s Disease Coalition for Patient Engagement (HD-COPE) – which gives family members a direct and impactful voice in clinical research. Only through collaboration can we learn from each other and establish a strong and impactful voice. Enroll-HD is a worldwide observational study for Huntington’s disease families. It monitors how the disease appears and changes over time in different people. It is in other words a prospective observational study, meaning it tracks people over time. Rather than asking people to recall how their symptoms have changed, Enroll-HD studies the symptoms – and how they have changed – at different points in time. Enroll-HD also make up an important platform for other studies, whereas researchers can use the same study sites that Enroll-HD uses, and they can analyze the data collected by Enroll-HD. In short, clinical trials is another term for “studies with human beings”. 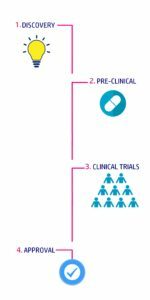 Huntington research often follows four steps: 1) Discovery, 2) Pre-clinical Phase, 3) Clinical Trials and 4) Approval. The first step is the discovery phase. In Huntington’s Disease a huge landmark was the discovery of the gene in 1993. The second step is the pre-clinical phase. In this phase different treatments and drugs gets tested in animals. This testing is done to measure safety. How does for instance the body reacts when researchers try to “switch off” the Huntington gene? If the treatment is safe, the next step is to measure safety and efficacy in humans. This third step is known as clinical trials. The fourth step is approval. This is when the drug gets approved and available to people.